The sweet Kathy from the Kat-Kuffs etsy shop is giving a $50 store credit to one of my lovely readers! For those of you that have been following me from the beginning, you may recognize Kathy's designs, as she's given away on the blog before. Kathy's etsy shop is filled with gorgeous cuff bracelets, stunning earrings, eye-catching necklaces, and even jewelry for your wine bottle!! 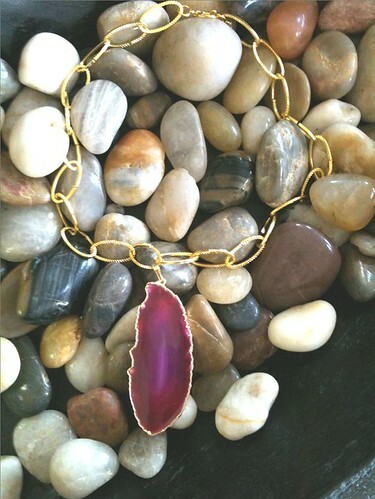 Each piece is hand made by Kathy with love, and is very affordable. 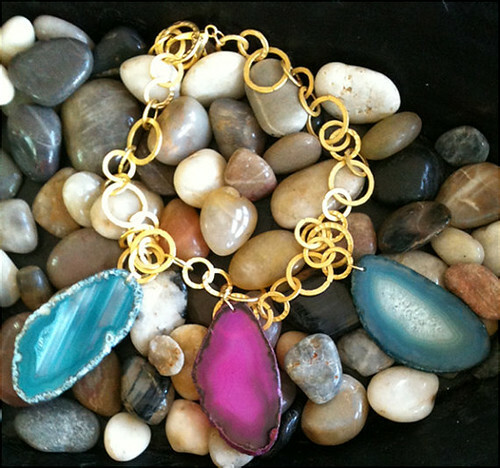 Her designs include agate stones, sparkling jewels, leather, and fun embellishments (such as peacocks, lion heads, and mermaids). 1.) Visit the Kat-Kuffs etsy shop and leave a comment telling us your fave item from the shop! 2.) Add Kat-Kuffs etsy shop to your favorites if you have an etsy account. The winner will be chosen at random by the use of random.org! Good luck everyone!! Great shop, she has some beautiful items! I have to say right now I'm totally coveting the Concho Love Cuff! Kat Kuffs is on my favorites in Etsy! 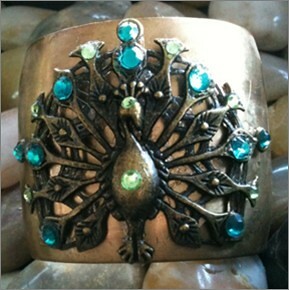 Okay, obsessed with the Turqouise men's cuff. Liked Kat Kuffs on Facebook (Sophia Burnham). OMG that ZEN cuff is insane babe!! My FAVE by far! Beautiful pieces...you always find the most amazing Etsy artists! Awesome giveaway! Also following on GFC and BL love! 1. 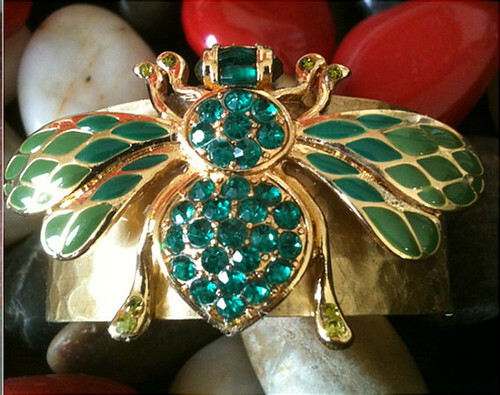 I LOVE the BEEutiful - Gorgeous Green Rhinestone Bee on Brass Cuff. I follow you with BlogLovin' & GFC as Holly S.
Hello Doll, You know I follow you everywhere! 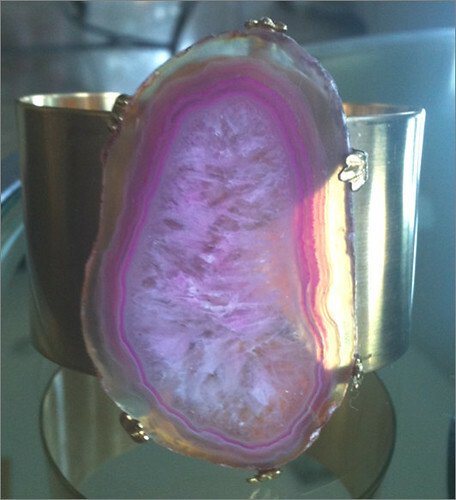 I'm obsessed with cuffs and these are amazing! 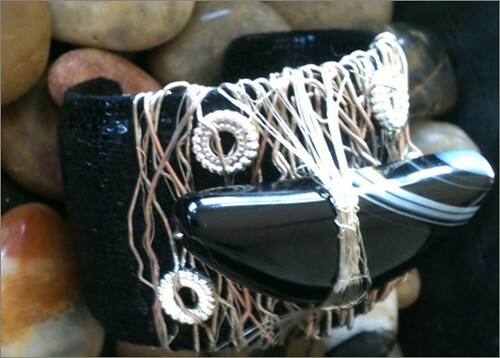 Particularly the "Zen" cuff. Gorgeous!! Following you on Twitter now as well! And of course, have added Kat Kuffs to my FB and Etsy circle. Her stuff rocks! This is one of my fave stores!!! I love the pumpkin starfish sea star cuff! Liked kat kuffs on facebook! Liked belle de couture on facebook! Added kat kuffs to my favorites in etsy! Voted for belle de couture in the blogger contest! Southwest Fire is amazing! 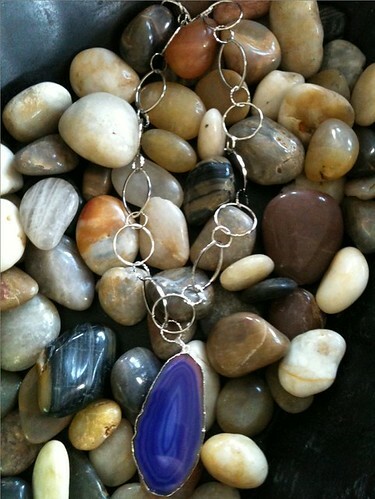 loving the agate as well! I liked on Facebook (Susie Dobberpuhl) and I'm following you on Bloglovin. My favorite piece is the Got Nothing But TIME On My Hands ring. I liked you on Facebook: Susie Dobberpuhl. I am following Belle de Couture via Google AND Blog Lovin' as Monique. 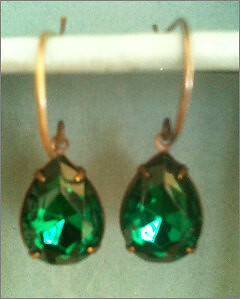 I added Belle de couture to my favs Etsy at artthroughmyeyes. I like the Mr Roboto necklace. 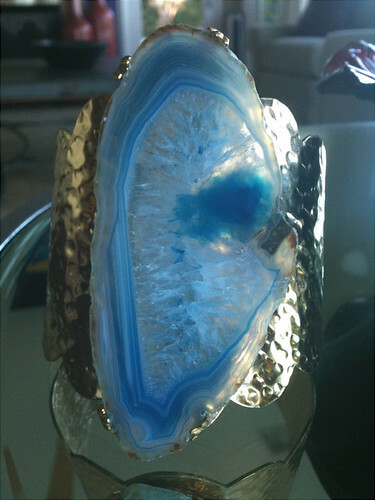 I like the Little Bit Blue (ring) Agate Slice. I follow you on Bloglovin' and I liked KatKuffs on FB. I follow you via Google and Bloglovin'. I added Kat Kuffs as a favorite on etsy. I stalk you on Currently Obsessed. I think the Flying High Again Silver Cuff is cute! I am OBSESSED with the vintage smoky topaz necklace (my birthstone!!!) and the flower cameo ring! I'm following you on GFC and now "liked" KatKuffs on Facebook (Jessica Hamm). My favorite you already featured: the Zen cuff, but I like the Chakra cuff too. So pretty! I follow you on Instagram via "bedknobsandbaubles"
Stalking Belle de Couture via Currently Obsessed as Tofu Fairy. Voted for Belle de Couture in the Refinery29 Blogger Contest and was heart #26 as Tofu Fairy. I have MANY Favorites (see all the items/designs Etsy "hearted" by me, Jesselyn - and the ones I shared on my FB page! )Among my most favorite favorites are the "Beauty" and the "Golden" Cuffs (Kuffs!) 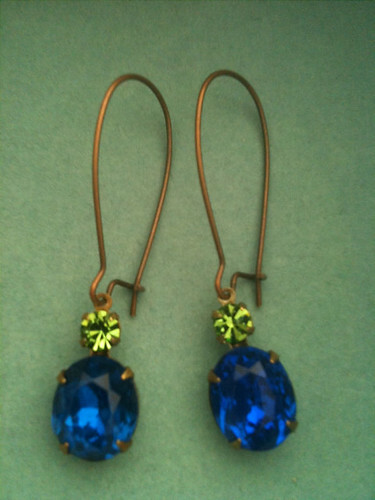 and I MJUST have the "Aqua Vintage" Earrings! I LIKE Kat-Kuffs on Facebook (Jesselyn Andersyn) as well as several of her marvelous creations on my FB page. Added Kat-Kuffs to Etsy Favorites (as well as lots of her fabulous designs (items) I'm Jesselyn on Etsy. Voted for You/Jennifer Rand at the Refinery 29 Blogger Search Contest. I am #25 - Jesselyn Andersyn.